Greetings gentle readers, I'm back after a scheduled blogging break. (It was not intended to go this long, life seems to take over when you let it!) 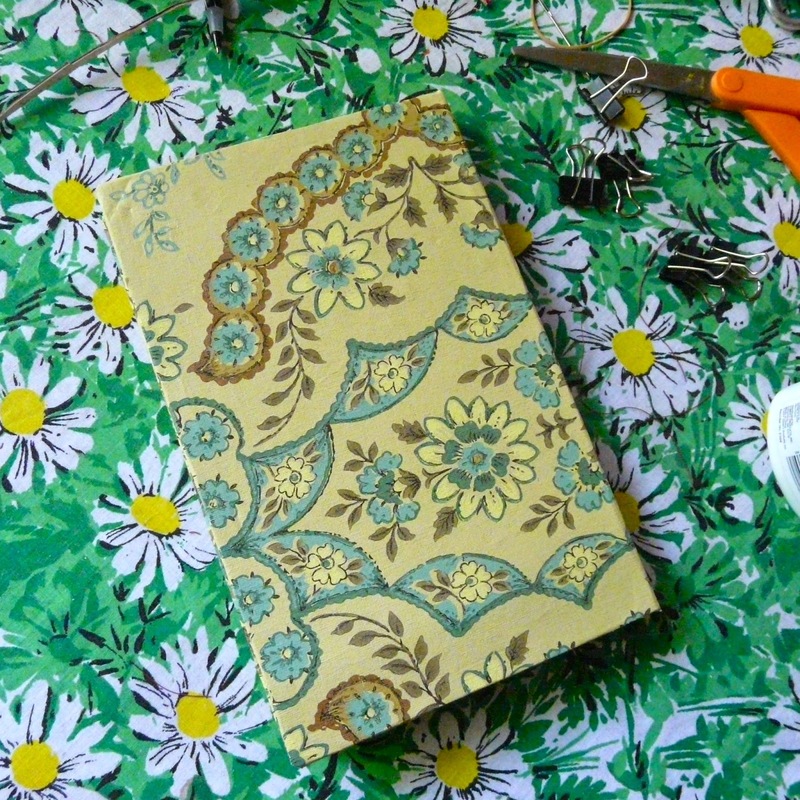 And so, to make up for lost time, here's a pretty intense project... Book Making. I made simple boxes, seen to a page. One of my big complaints about commercial day planners is that weekends get the short shaft! As I'm often busier on the weekends I need to give every day of the week the same space. It's only fair. I printed only on one side, so that the facing page would have list space. 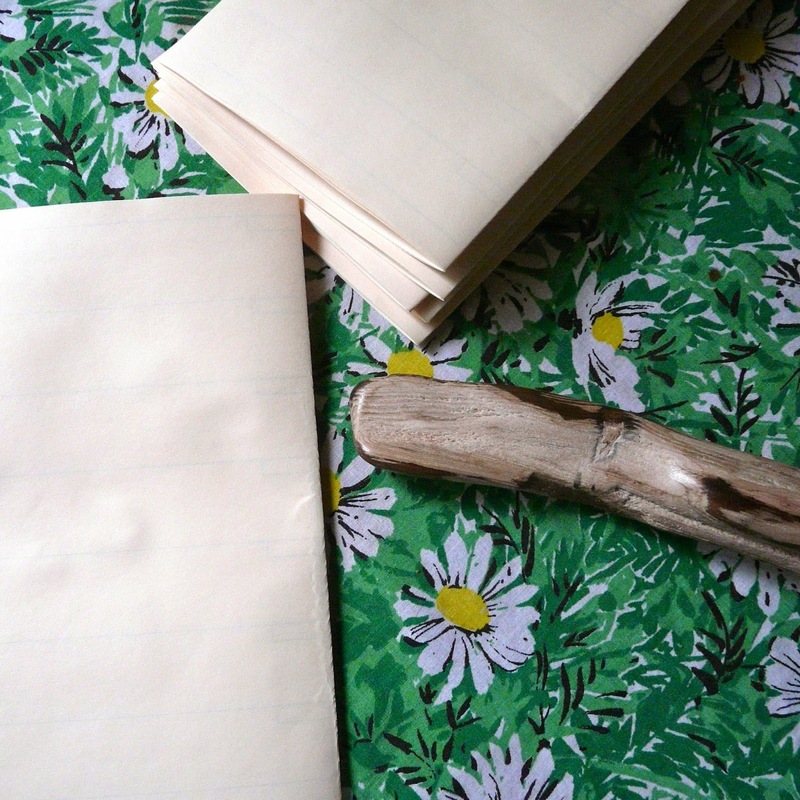 At the center of each bundle the book switches sides, one for dates and one for lists. Notice there's no dates in it yet, much simpler to print it out then fill it in. Yes, that is a folder made of polished petrified wood. It's fantastic! 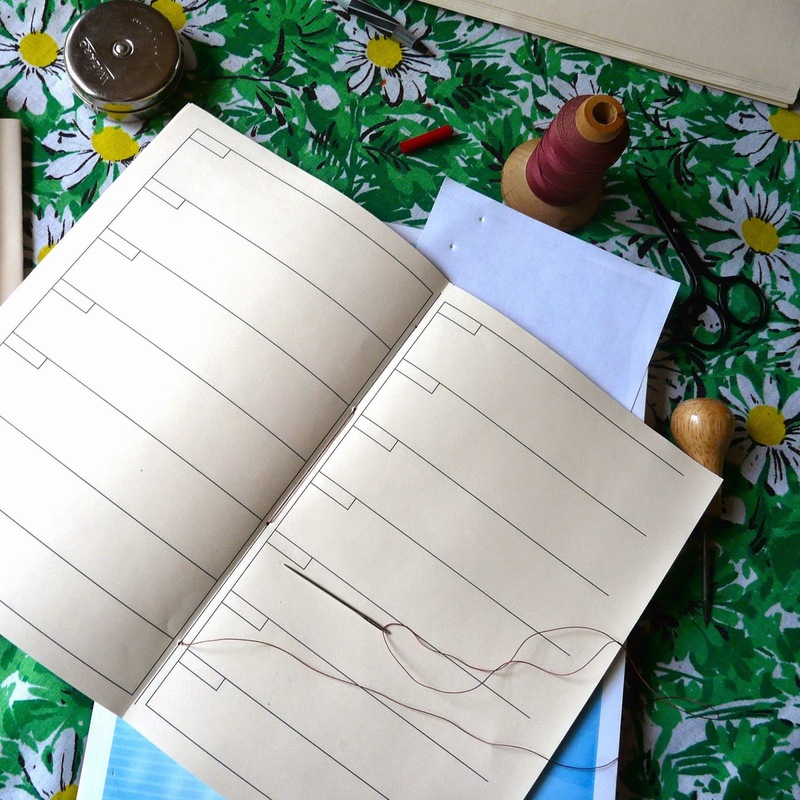 Each bundle is sewn into a booklet, holes punched with an awl. That's quilting cord I'm using. 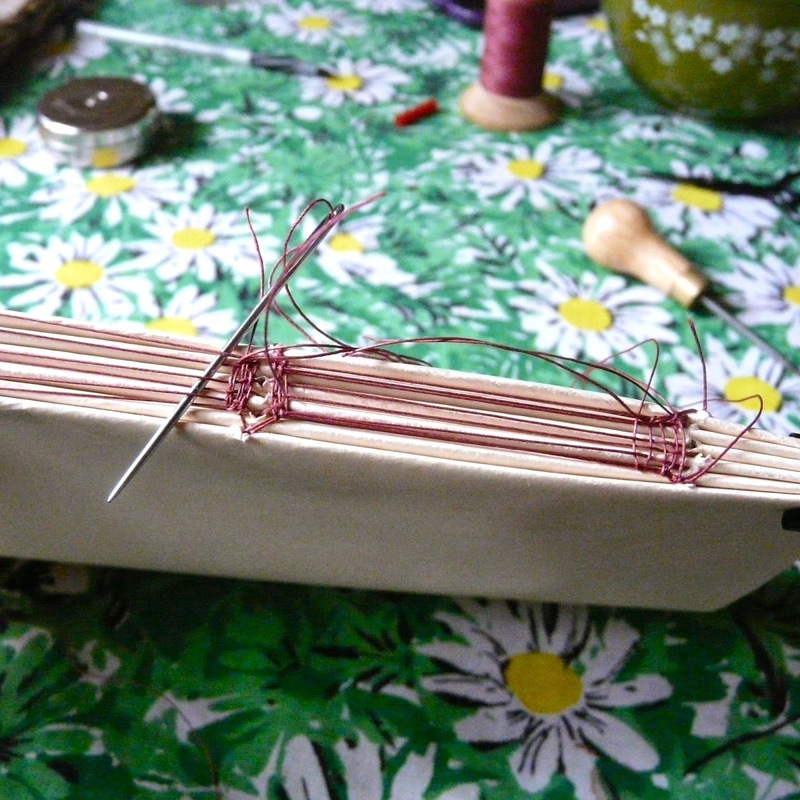 The registers are then all sewn together, I'm not sure I quite got that part right, but it's functional! 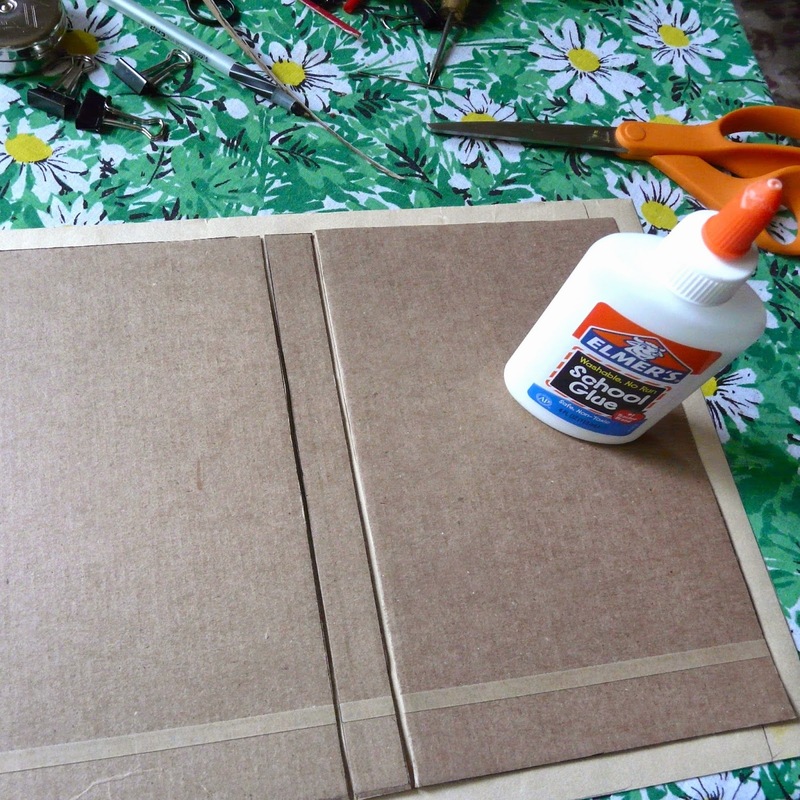 The cover was made with cardboard and old wallpaper. 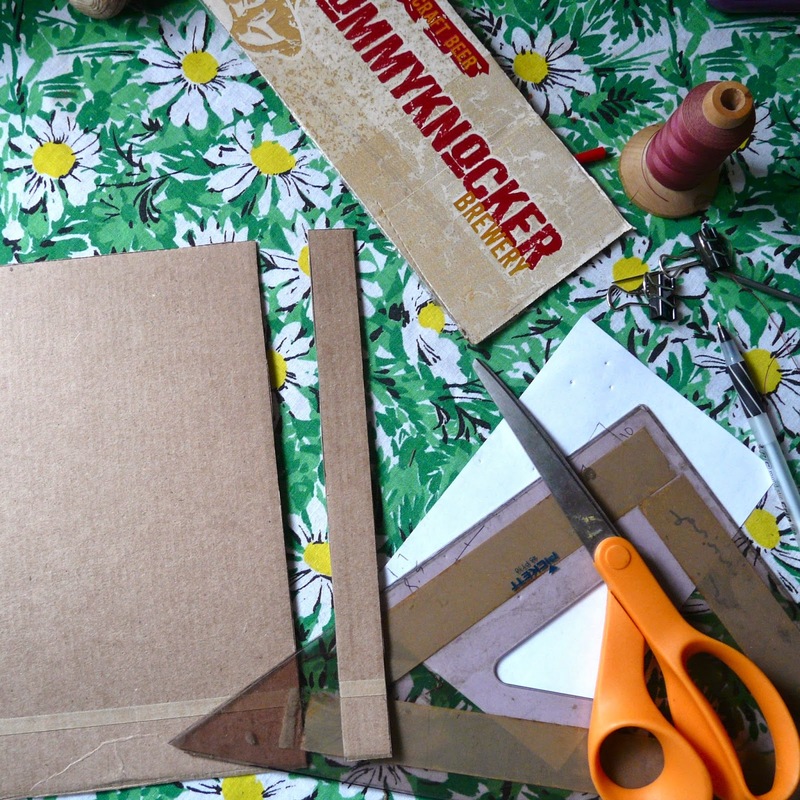 Beer boxes had the perfect light-weight corrugated - upcycling! 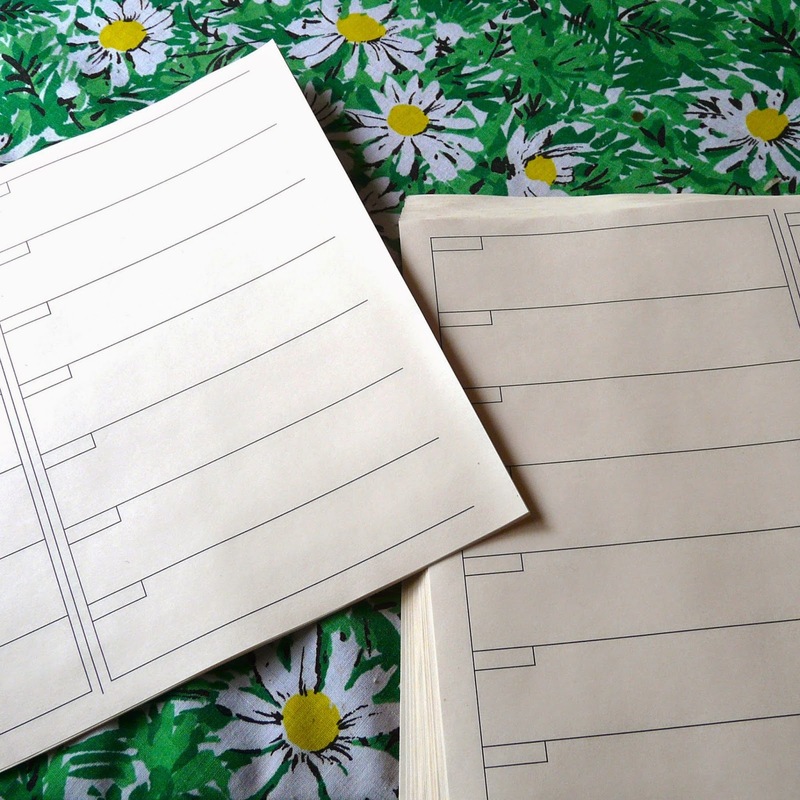 The boards are of course slightly larger than the pages, I did make the center spine piece a little too wide. Taking note for future projects. 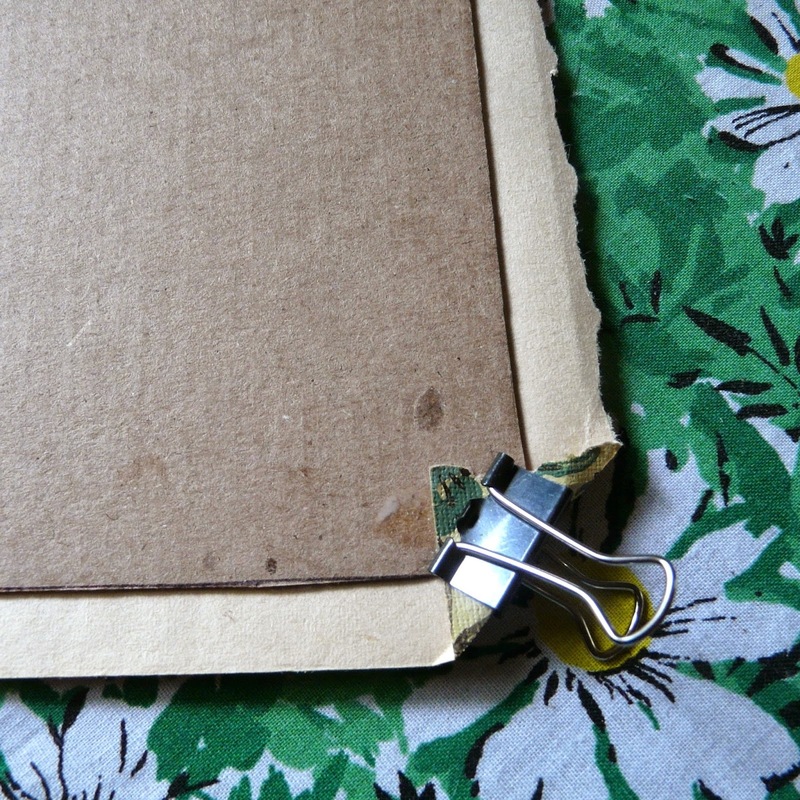 I used simple Elmer's glue for the covering, These binder clips are hugely helpful to hold the paper in place until the glue sets! It allowed me to make nice neat corners. How do you keep organized? 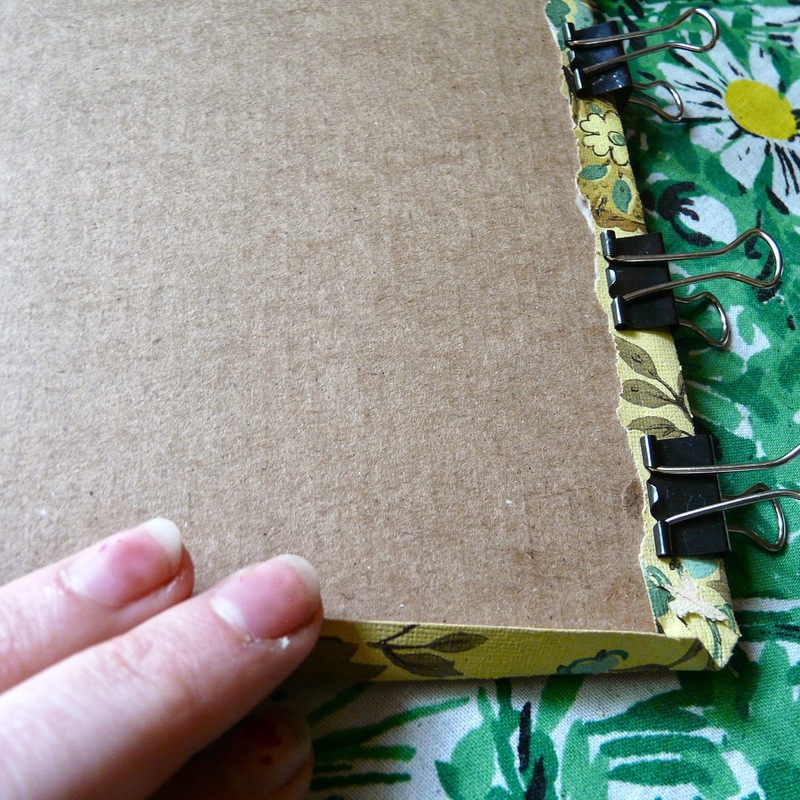 Have you ever made a book?